Always be prepared in for all emergencies with the 3-In-1 Emergency Tool Set. Imprint your brand’s logo and tagline on the tool set and remind your customers of your company’s care and service. Always be prepared in for all emergencies with the 3-In-1 Emergency Tool Set. Imprint your brand’s logo and tagline on the tool set and remind your customers of your company’s care and service. 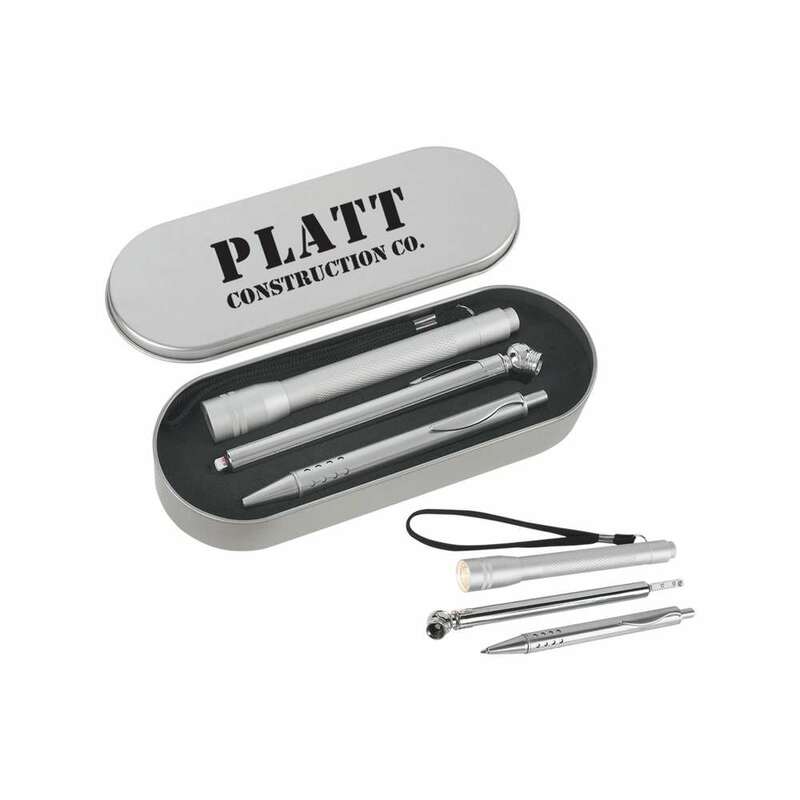 The emergency tool set contains a tire gauge (max: 50 PSI), a ball pen with black ink and an aluminum flashlight. The package includes batteries for the flashlight. The tools are silver in color and come in a silver casing. Give away the tool set at trade fairs and expos, to achieve remarkable success for your brand.